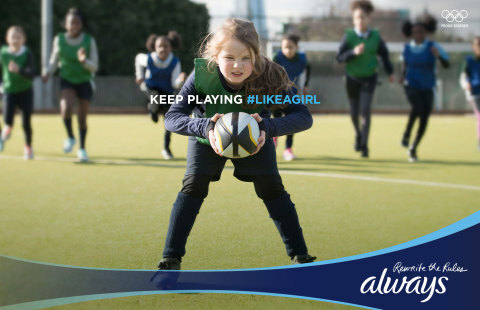 encourage and inspire girls everywhere to Keep Playing #LikeAGirl. I wouldn’t be the confident person I am today if I had,” said Morgan. regularly, compared to those who do not play at all1. girls still report that they don’t feel like they belong in sports. everywhere to Keep Playing sports. everything. For more information about the #LikeAGirl movement, visit www.always.com. 30, 2015 through May 8, 2015.